Our 2017 competition was sponsored by Occidental Oman, Mitsui E&P Middle East B.V. and Nama Group (Gold Sponsors), Ominvest, CGG and BP Oman (Silver Sponsors), and Vale Oman (Bronze Sponsors) and supported by TRACCS Oman, ESHRAQA (Khimji Ramdas Social Devlopment Arm), Pinky Bell, the Crowne Plaza Muscat, Rasasi and Slider Station; the competition was held on 23-24 October under the patronage of HE Mohammed Salim Al Tobi, Minister Environment and Climate Affairs. In cooperation with Emirates Environmental Group (EEG), ESO holds an annual Inter College Environmental Public Speaking Competition organized with the aim of developing a deep appreciation of the environment and an understanding of the challenges facing it through study, research, discussion and debate. 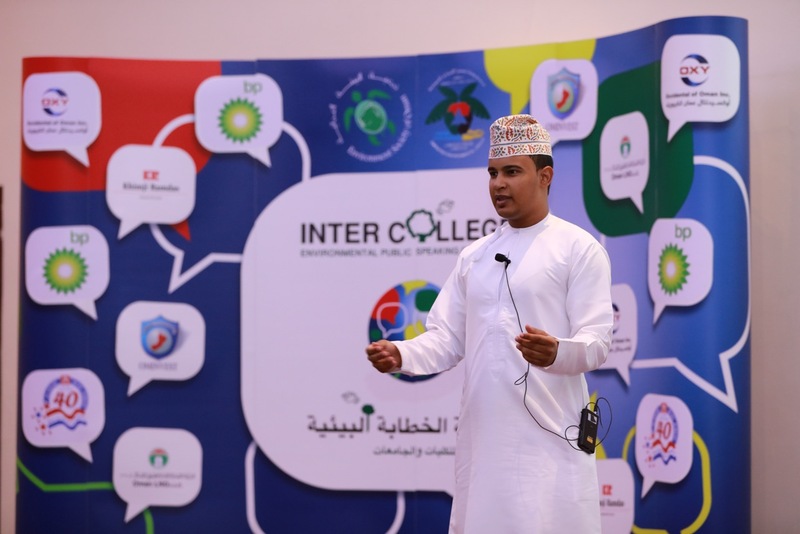 An open challenge is thrown to the Oman higher education student community. The students build and present strong cases on different contemporary issues and questions relating to the environment. The competition gives the participants a wonderful opportunity to showcase knowledge and talent, and serves as a good networking tool among government and private academic institutions. Over 174 students forming 40 teams representing colleges and universities from across the Sultanate participate. People And The Planet: Finding a Sustainable Balance – Sohar College of Applied Science (Shamsa Nasser Al Wardi, Jihan Saif Al Shabnuti, Nawras Yahya Al Omairi). 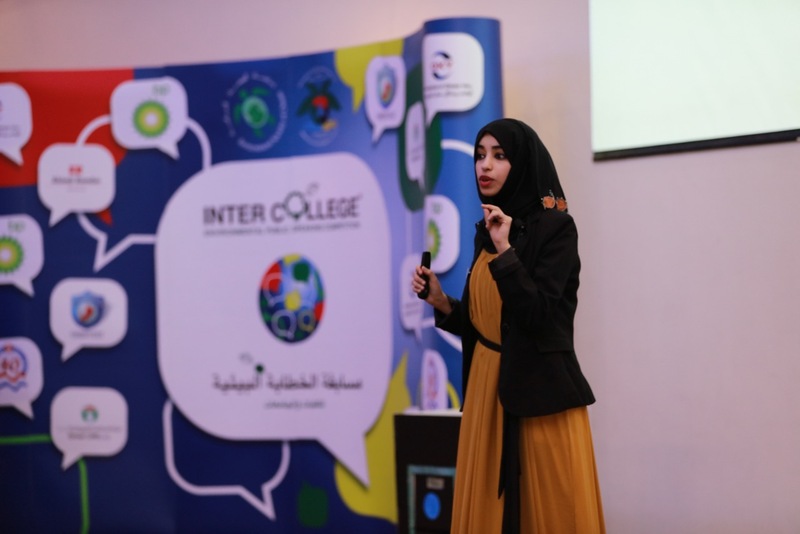 Quality Education: Roadmap to Sustainable Development – Ibri College of Technology (Hajar Hamed Al Shukili, Sarah Obaid Al Shukili, Ebtisam Sulaiman Al Hatmi). The Future of Power – Sultan Qaboos University (Ahmed Khalfan Al Mayahi, Abdallah Niran Akintola, Enas Elsir Mubarak, Afrah Hamed Al Shukaili, Malik Salim Al Wahaibi). Sustainable Food Systems: Understanding Food Security - Sultan Qaboos University (Abeer Amer Al Jabri, Sulaima Said Al Alawi, Ruqaiya Saif Al Julandani, Mallak Hadoub Al Yazeedi, Ishraq Mohammed Al Aubaidani). Following the success of the National Competition, the winners were mentored and given further presentation skills by Khimji Training Institute. They then met with HE Mohammed Al Tobi, Minister of Environment and Climate Affairs, for a discussion on environmental issues with the winning students. The winning teams then went on to compete at the Regional Competition, which was held in Dubai in late November. ESO is very proud that the teams from Higher College of Technology and Ibri College of Technology scored top places at the regional competition. We would also like to thank HE Mohammed Al Tobi, Minister of Environment and Climate Affairs, for taking the time to meet and discuss environmental issues with the winning students.